Tune in Tonight! | What's Up, Ya Sieve? Though it’s barely been cold this winter, now is the time to get warmed up for the Winter Classic! We are pretty excited – as is Puck Daddy – because, let’s face it, we are hoping for The PK Subban Show. Even Chuck, Bruins fan that she is, can’t say no to the PK. The Penguins are in Boston tonight for a Wednesday Night Rivalry game, airing on NBC Sports. 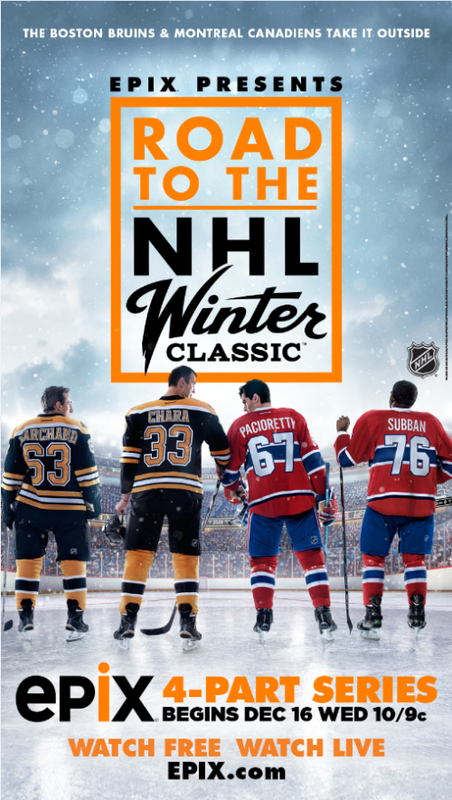 The “Road to the Winter Classic” episode stays available online after it’s 10 PM airtime, so you can catch it after the game. Go Habs Go! I am was so excited for this but Carey Price and Brendan Gallagher are injured so the excitement toned down. Goddamit I bet I won’t be able to see this in the UK!